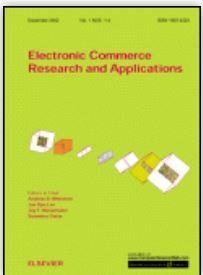 Electronic Commerce Research and Applications aims to create and disseminate enduring knowledge for the fast-changing e-commerce environment. E-commerce is a multi-disciplinary area, which should be developed in co-operation with existing fields such as Information Systems and Technology; Marketing, Finance and Supply Chain Management; Business Strategy and Management; Public Policy; Computer Science and Telecommunications; and Legal Studies. Policymakers, practitioners, and researchers need a balanced, thoughtful, and analytical resource to meet the challenge of global aging at a rate that’s historically unprecedented. 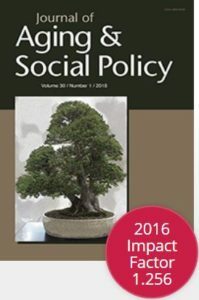 The Journal of Aging & Social Policy examines the important policy issues that affect the elderly in societies throughout the world. The Journal of Aging & Social Policy presents insightful contributions from an international and interdisciplinary panel of policy analysts and scholars. The journal examines and analyzes critical phenomena that affect aging and development and implementation of programs for elders from a global perspective, highlighting not only the United States but also Europe, the Middle East, Australia, Latin America, Asia, and the Asia-Pacific rim. NATO Review is a free, online magazine looking at some of today’s most pressing security issues. It publishes videos, articles, timelines, maps, podcasts, cartoons and more on everything from cyber attacks to the effect of social media in revolutions. Or from energy security to Russia’s hybrid war tactics. Or even from water scarcity to the need to get more women into defence. It’s a magazine that has been doing this for over 60 years. And in that sense, despite it being a modern magazine, it still holds to the task given to it all those years ago – which is to ‘contribute to a constructive discussion of Euro-Atlantic security issues’. 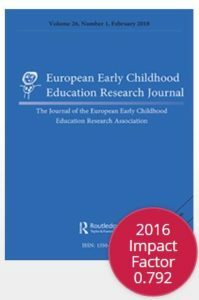 The European Early Childhood Education Research Journal (EECERJ) is the publication of the European Early Childhood Education Research Association (EECERA), an international organisation dedicated to the promotion and dissemination of research in Early Childhood Education throughout Europe and beyond. With this as its principal focus, it should be emphasised that its definition of education embraces care and that its approach is multidisciplinary, embracing all related fields including psychology, sociology, child health and social work. Papers may take the form of reports of research in progress, discussion of conceptual and methodological issues and review articles. All papers are peer reviewed and the Journal is published four times per year. Editor: Tony Bertram. Papers should be submitted via the website. University World News provides international news, commentary and features to academics globally as well as providing a bespoke service to Africa. Sharp editorial provides readers with innovative, forward thinking and intelligent journalism and has galvanised UWN’s position as the title of choice for professionals, key stakeholders and policy makers in the higher education sector.